We finance exportation of Canadian creations and talent. When hosting theatrical releases, programming your event or selecting a coproducing partner, Canada is a must. Together, we can make a BIG impression! It pays to host the theatrical release of a Canadian production. We believe Canadian productions should be seen on screens around the world. 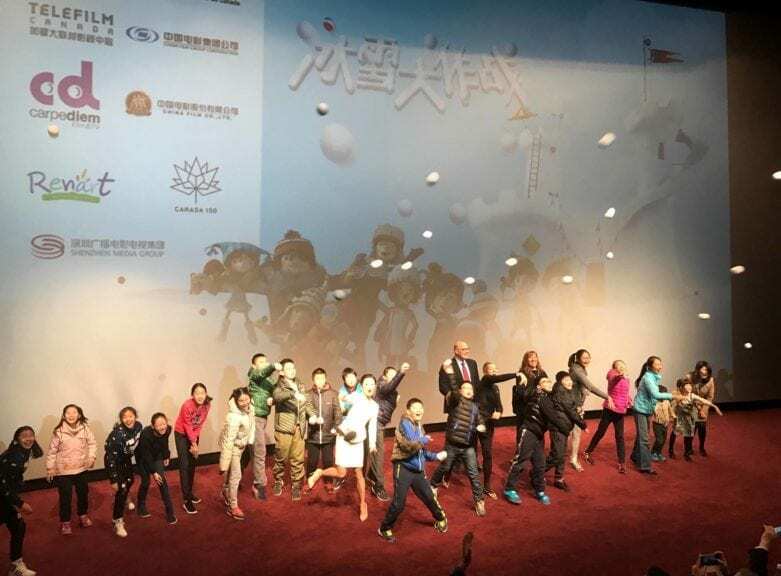 Our Export assistance program offers financial incentives to foreign distribution companies to support theatrical screenings of Canadian productions. Though the program, we cover some of the costs associated with the promotion of theatrical releases, including trailer creation, marketing expenses, subtitling as well as certain traveil and accommodation costs. For all details, please consult the Export assistance program on telefilm.ca. Invite Canada to your event and we'll be there! Telefilm Canada finances the participation of Canadian talent in over 60 festivals. We’re at some of the world’s biggest events, as well as more niche ones that highlight emerging talents. We’re continuously boosting our investment in the international promotion of Canadian creators because we’re passionate about fuelling the star power of your event. If you invite them, the’ll be there! For all details, please consult the International marketing and festival participation program on telefilm.ca.